I’ve been meaning to ask you something for a long time. 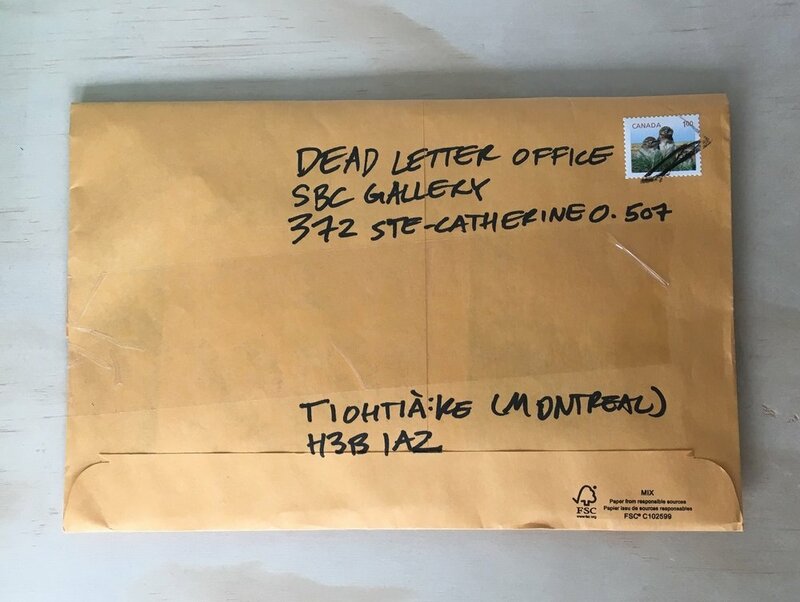 Though I’ve always felt shy, it is important that I ask you this: have you ever written a letter or created a package that was never delivered to your intended? Love letters to those who stopped being your lover, immigration papers filled out incorrectly, objects gathered for your ancestors, notes to your future self—Whispers That Got Away. I know these packages weigh heavy in your home and heart, as unfinished gestures that need to be buried. I want to take care of these objects for you, timestamp them, lay them to spiritual rest. Atelier Céladon will be the object’s steward. Unburden yourself from this accumulation. Send them off with no return address. Mail me your parcels. I will arrange them accordingly in the Dead Letter Office. We—the Common Aliens—will keep them company. Your parcels will be displayed beginning April 6, and ultimately find pause in a time capsule to be sealed on June 2, 2018. Don’t break the chain. Pass this letter on to 7 lovers and strangers. If you don’t forward this, you will experience 7 years of taking things literally.